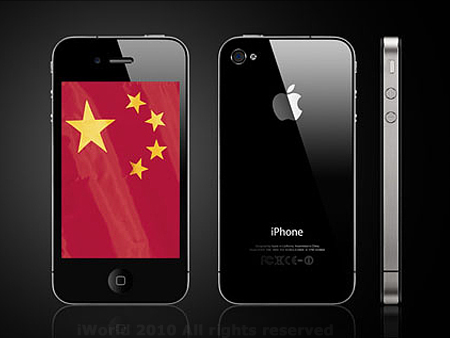 We reported last week that the iPhone 4 officially launched in China to huge crowds. Not so surprisingly, reports are now coming in that Apple is unable to meet demand, with Chinese carrier Unicom receiving over 200,000 preorders for the highly coveted, must have device. Perhaps the main difference between sales of the iPhone 4 in comparison to the 3GS in China is the fact that Apple was much quicker to the market this time. Apple took 28 months to bring the iPhone 3GS to China after originally launching the device in the US. This spawned a huge grey market, with international sellers, friends, and family sending devices from abroad to the country. The grey market lead to only 100,000 units being sold in the first 6 weeks the iPhone 3GS officially went on sale in China. With Apple only taking 3 months to get the iPhone 4 to the country, its no so surprising that the demand is so much higher this time around. An Apple spokesperson assures us that more iPhone 4s will be made available shortly and Chinese customers should check local stores and the Apple online store for information on availability.